من المقرر لحفل توزيع ’جوائز الفن العالمية‘ - الذي يقام للمرة الأولى في دبي يوم 17 نوفمبر 2017، ويستضيفه فندق ’أرماني‘ الكائن في ’برج خليفة‘ - أن يحتفي بالإنجازات المتميزة لألمع المواهب في مجال الفن والتصميم من شتى أنحاء العالم، مع التركيز على الجوانب الفنية والثقافية في منطقة الشرق الأوسط. DUBAI, United Arab Emirates – Recognising excellence and innovation in art and design, the world’s renowned Global Art Awards return for a second successful year at a brand new venue, FIVE Jumeirah Palm Dubai at the Penthouse 16th Floor with the backdrop of the astonishing Dubai skyline. Celebrating exceptional achievements of artists from across the globe and featuring 16 Visual Arts categories, including Photography, Street Art, Illustrationand Painting, the awards are set to receive significant support from the UAE and global art authorities. Recognising the growth of home-grown talent in the Middle East and with a special focus on the UAE arts and culture scene, the Global Art Awards will devote three categories to the region. The Global Art Awards will also honour one artist from amongst the winners to receive the title of The Best Global Artist of 2018, claiming a title for life, and includes exhibiting in UAE. Amongst the judging panel for these prestigious accolades are art moguls, business leaders and industry experts; Mr Sina Fattahi, Executive Board Member of Royal Front; acknowledged art collector Dr. Farzam Kamalabadi, President & Chairman of the Board Future Trends Group; Ms Dilyara Kamenova, Founder of Alpha Soul, Art & Culture Development Office and curator of the first acclaimed Salvador Dalí exhibition to take place in the Middle East. Commenting on the awards, Mr Fattahi said, “I believe it is important to recognise the efforts of outstanding artists and provide the arts and culture community with a platform to celebrate outstanding creativity. Arts and heritage are an integral part of bringing people and cultures together. "The awards are an effort to establish an inspirational international competition on the global stage. They reach out towards a wider horizon, one which embraces talents and nurtures them to their fullest capacity. I am confident that the short-listed artworks will demonstrate a range of unique, creative perspectives and innovative techniques." Winner of the Award of Excellence 2018 in Hong Kong, Winner of the Water, Energy & Fire 2015 Contest in Milano, Lydia Moawad is considered one of the most renowned artist painters in Lebanon. Her works were auctioned at the Modern Art Show in Jeddah, KSA, in 2014 alongside the works of Picasso, Van Gogh and Fateh El Mudaress. Moawad’s works are held in private collections around the world as well as being exhibited in museums in Hong Kong, Tokyo, New York, Berlin, Austria, Rotterdam, Florence, Paris, Milan, Kuwait, Dubai, Qatar, KSA, Amman, Agadir, Niagara Falls and many more. An entrepreneur and an artist, Akshita Gandhi (India) photographs quaint lanes and slums of different cities and uses mixed media, her unique style and bright colours to convert them into innovative pieces that bring smiles. It is through this transient happiness evoked by looking at her work that she believes her viewer has already lived an eternity. Akshita is represented by ArtSmileywww.artsmiley.comonline gallery based in Dubai. Ana Solanas (Spain) winner of Golden Canvas 2014 by Federation Nationale de la Culture Française; International Award Francisco De Goya 2017 and MUSA International Award 2018. Ana is famous for her artworks in sand which are characterised by their depth and expressiveness and her work has been exhibited all over the world. She is one of the Spanish plastic artists to have earned the greatest international recognition, having exhibited her work at Grand Palais de Paris, the Louvre, Paris and the Florence Biennale 2017. 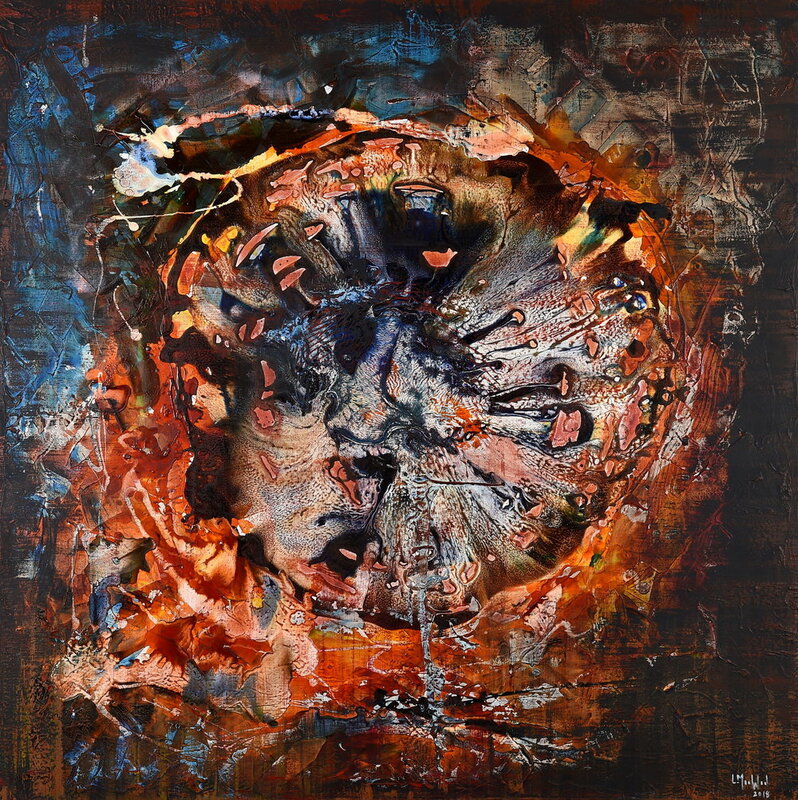 Sève Favre (Switzerland) has exhibited in Geneva, Zürich, London, Brussels and Hong Kong. In 2005, she created her first modular artwork on canvas which the public could touch and move. Sève Favre has focused the main part of her artistic work on abolishing the classic frontier between a work of art and a spectator. The keys words that support her art concept are Interaction, Change and Activity: Intervariactivity. 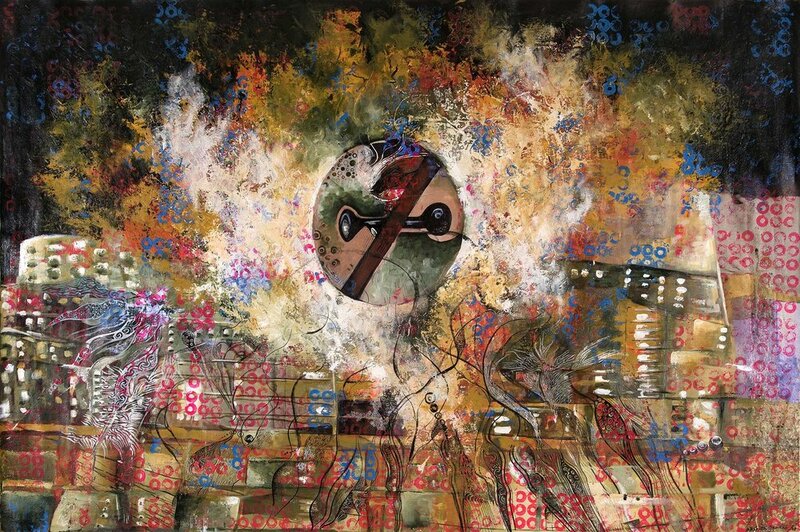 Aarti Buxani (India) is one of the world's top 100 artists in contemporary art of excellence. Since 2016 she has gained recognition and popularity with her Recycled Sculptures and Shri Yantra Paintings. Singled out for praise by the BJP president's wife in 2018 in India for the ability of her artwork to talk and perform despite being still, she has exhibited all over the world and sold her artworks in Tokyo, Amsterdam, London, UAE, Nigeria and India. Specialising in turning trash into artistic treasures, Aarti finds beauty in abandoned things. Her nominated sculpture resonates that "A True Warrior fights not because he hates the one in front of him, but because he loves those behind him". 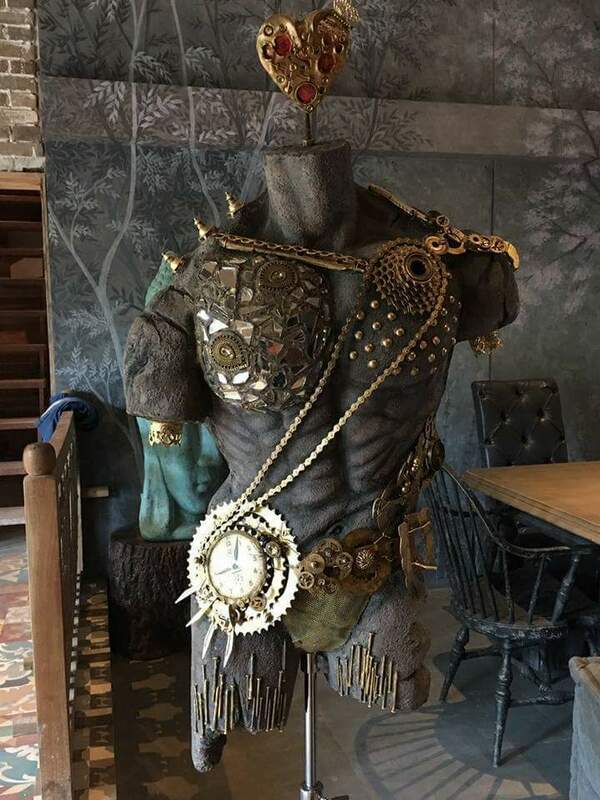 This sculpture is a tribute to all such warriors who ruled with their heart over their head, representing an inspirational message as well as a powerful piece of art. It is currently housed at Teatro Bond, India's leading art and fashion theatre in Pune. Rima is delighted to be a Finalist and will be exhibiting her art at the Global Art Awards Ceremony. Yulia Altas; Nanda Khiara; Timothy Taylor; Franco The Creator; H.E. Shaikh Rashid Bin Khalifa Al Khalifa; Joyce Moloney, Maurice van Tilburg Glimne; Osama Khalaf; Rima Chahine and Lisa Levasseur. The programme will culminate in an exquisite red carpet gala event in Dubai on 21st November 2018 at the FIVE Jumeirah Palm. Hosted by TV presenter Rania Ali, the high-profile evening will see internationally acclaimed artists, art critics, art dealers, art collectors, art fair directors, museum directors, TV & radio personalities, and business leaders in attendance. 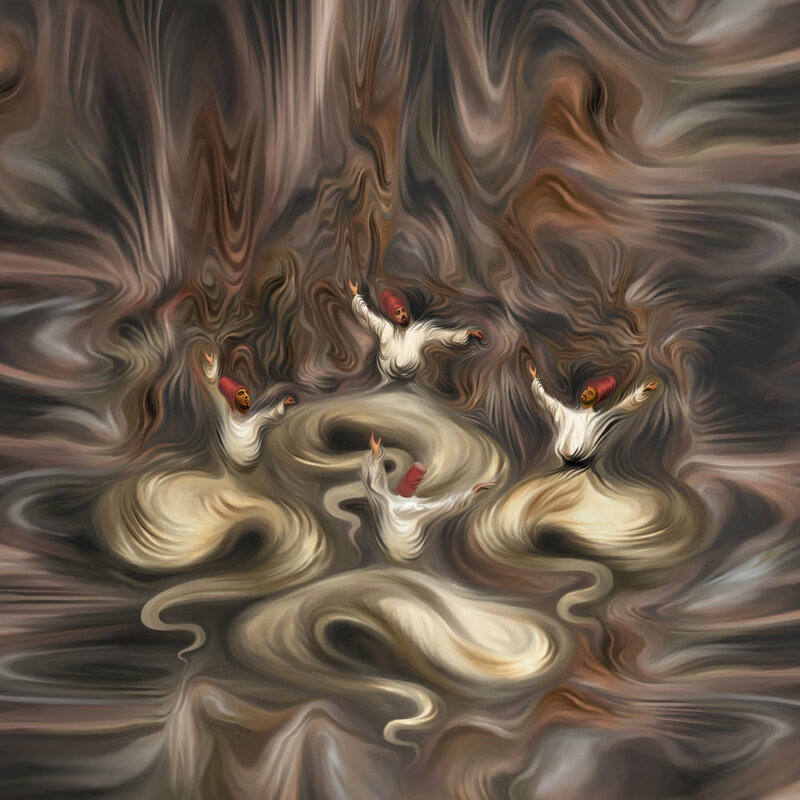 Rima Chahine is a Canadian artist living in Dubai for 16 years. She is passionate about color play and shapes as well as art living like enjoying the little things in life and beauty of the pure soul untouched by the ego. 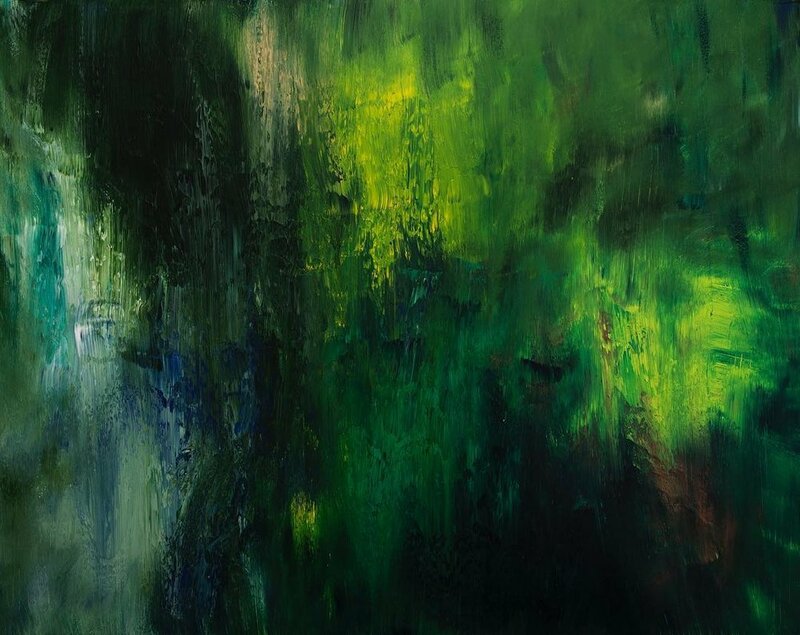 She describes herself as an intuitive painter and abstract art is her calling. She chooses her colors carefully and always create a beautiful effect mix. She enjoys painting on large canvas and creates different tones and shades of colors. It is a dream come true to be part of such big art event! “NEW EARTH” PAINTING EXPLORES THE POSSIBILITY OF A NEW WORLD UNTOUCHED BY EGO , GREED AND HATE. ONLY LOVE AND FORGIVENESS LIVE AND ABUNDANCE OF WATER, TREES AND RESPECT FOR THE NATURAL CYCLE OF LIFE. “VOLCANO HEART” PAINTING EXPLORES THE EXPLOSION OF A HEART ON FIRE WHO REFUSES TO ONLY SURVIVE BUT TO LIVE EVERYDAY WITH GREAT PASSION, AN APPETITE FOR LIFE AND A GREAT BELIEF IN HOPE AND PURPOSE. How does it make you feel that you are a nominee for the Global Art Awards? IT IS A DREAM COME TRUE AND I AM VERY EXCITED TO BE PART OF SUCH A GLOBAL ART EVENT AND TO MEET THE INTERNATIONAL CREATIVE COMMUNITY AND ALL ART LOVERS AND ART COLLECTORS. How would you react if you win a Global Art Award at the Armani Dubai Burj Khalifa surrounded by international Press and the Elite from the Art World? I WILL FEEL HONESTLY ECSTATIC AND WILL CRY HAPPY TEARS SPECIALLY BECAUSE MY SONS AND PARENTS WILL BE VERY PROUD. How would you describe yourself? And your artwork? I AM IN INTUITIVE ARTIST FASCINATED BY COLOR PLAY AND I GET MY INSPIRATION FROM MEDITATION ON THE BEACH OR LISTENING TO MUSIC AND DAYDREAMING AND ART LIVING FEEL I GET FROM MY ZEN STATE OF MIND AND PEACEFUL APPROACH TO LIFE. What is your definition of art? How do you deal with artist's block? I DON T BELEIVE WE HAVE BLOCKS BUT I BELEIVE TIMING IS EVERYTHING AND SOMETIMES YOU JUST NEED TO WONDER MORE THAN PAINT. MY MANTRA IS NEVER FORCE ANYTHING JUST LET IT FLOW. TO VOTE FOR YOUR FAVOURITE ARTWORK PLEASE GO HERE. WORLD’S SECOND GLOBAL ART AWARDS TO HONOUR OUTSTANDING WORKS OF ARTISTS FROM ACROSS THE GLOBE. DUBAI, United Arab Emirates, 24th July 2018 – Recognising excellence and innovation in art and design, the world’s renowned Global Art Awards is back again, stronger and bigger than ever at a brand-new venue FIVE Jumeirah Palm Dubai at the Penthouse 16th Floor with the backdrop of the astonishing Dubai skyline. Celebrating exceptional achievements of artists from across the globe. 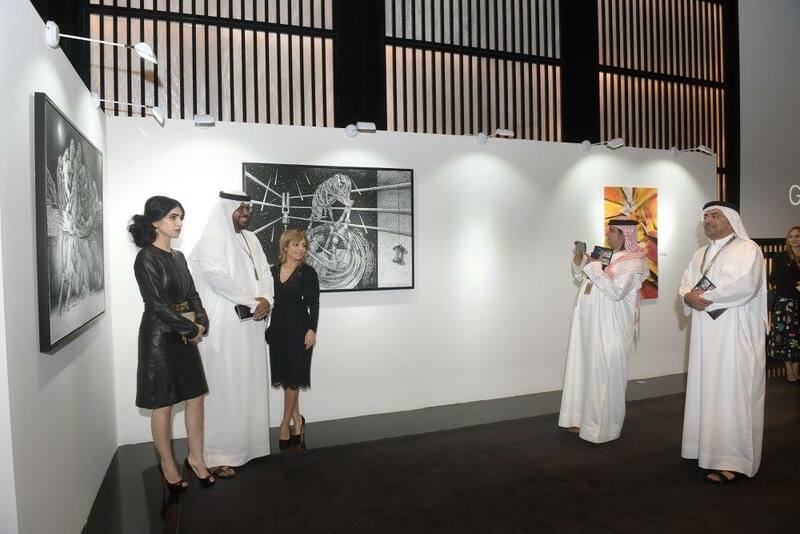 Featuring 18 Visual Arts categories, including Photography, Street Art, Illustration, and Painting, the awards is set to receive significant support from the UAE and global art authorities. 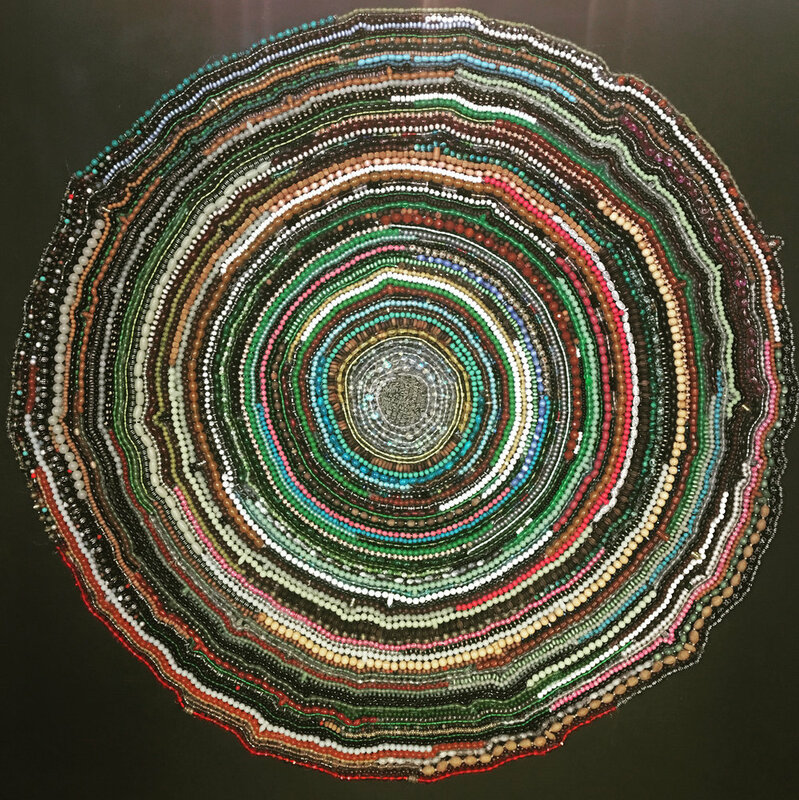 Chosen from a list of all winners, the Global Art Awards will also honour one artist with the coveted title- ‘The Ultimate’ Best Global Artist of 2018, with this winner taking a prize worth all together $ 15,000 USD, which includes exhibiting in Abu Dhabi. Amongst the judging panel for these prestigious accolades are art moguls, business leaders and industry experts; Mr Sina Fattahi, Executive Board Member of Royal Front, and acknowledged Art Collector Dr. Farzam Kalamabadi, President & Chairman of Future Trends Group, as well as Ms Dilyara Kamenova, Founder of Alpha Soul, Art & Culture Development Office. Curator and of the acclaimed first ever Salvador Dalí exhibition in the Middle East. Commenting on the awards, Mr Fattahi; “I believe it is important to recognise the efforts of outstanding artists and provide the Arts and Culture community a platform to celebrate outstanding creativity. Arts and heritage are an integral part of bringing people and cultures together. The awards are an effort to genuinely establish on the global stage, an inspirational international competition. The awards reaches out towards a wider horizon, one which embraces talents and nurtures them to their fullest capacity. I am confident that the shortlisted artworks will demonstrate a range of unique creative perspectives and innovative techniques." Joining them is Sophie Neuendorf (USA) - Artnet - Director, Gallery Network and Partnerships and Head of the Department of Econometrics at Artprice, Jean Minguet, an expert in the field of art market analyses. The programme will culminate in an exquisite red carpet Gala event in Dubai on 21st November 2018, at the FIVE Jumeirah Palm. Dubbed to be the ‘Oscars of the Visual Arts’, the high-profile evening will see the likes of internationally acclaimed artists, art critics, art dealers, art collectors, art fair directors, museum directors, TV & radio personalities, and business leaders in attendance. DUBAI, United Arab Emirates, November 2017 – Recognising excellence and innovation in art and design, the world’s first ever Global Art Awards celebrated exceptional achievements of artists from across the globe. The star-studded red-carpet Gala event took place in the glamourous ballroom at the exquisite Armani Hotel. “The Oscars of the Visual Arts” saw 18 categories celebrated with winners being crowned victorious from thousands of applicants whom entered to claim a coveted prize. Chosen from a list of all winners, Nja Mahdaoui was named ‘The Best Global Artist of 2017’, with this winner taking a cash prize fund. Co-Founder Joëlle said. “My business partner Natal and I couldn’t be happier with the outcome of this evening. We are incredibly blessed to have bought together so much creative talent in one room – the response to the awards has been incredible and we look forward to now planning for the 2018 edition. Special thanks to the entire team at Armani Hotel Dubai for providing the most stunning location." "The purpose of my art is to inspire you, the viewer of my work, to think, to absorb, maybe even to meditate but most importantly - to create a conversation." 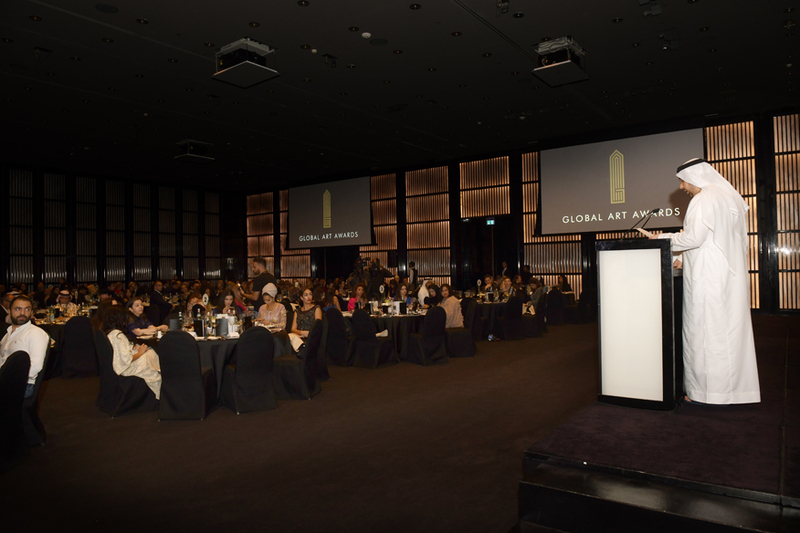 This is an interview with Siddiqa Juma, nominee in the Global Art Awards 2017, with the award ceremony at the Armani Dubai, Burj Khalifa on 17.11.17 where the winners will be announced over 18 categories, such as Painting, Street Art, Photography and many more... Seat reservation is possible online. Tell us about your nominated art piece for the Global Art Awards? The nominated art piece is called Diversity. It is 1metre x 1metre acrylic on canvas and is covered by resin. The painting has the Holy Kaabah at the centre and is then surrounded by multitude daubs of colours – literally thousands upon thousands of brush strokes, layered one on top of the other, each colour although unique lets the colour beneath shine through. Every brush stroke representing a being – unique in everyway and made all the more wonderful when their path are crossed by another. The painting is of a carnival of diversity, all united by one faith to the one God, and by their calling to the House of God which transmits a constant radiant energy. To have been nominated for the Global Art Awards by the awards own Jury’s board feels truly humbling. Whilst I have painted throughout my entire life, I never really anticipated where this journey of art was going to take me. My career as an artist was somewhat of a happy accident and one that I am ever so grateful for, but to receive a once-in-a-lifetime nomination like this one for a Global Art Award and to have received recognition on an international scale and with such an eminent jury, is mind-blowing and is something that I am extremely grateful for. To be honest, I think it would be impossible for me to even attempt to guess how I would react. This would undoubtedly be the pinnacle of my career to-date so I suspect it will be unbelievable and amazing at the same time. I feel honoured to have been nominated and be amongst the best in the art world. The thought that my art could be a winner in front of giants in the industry feels almost like an out of this world experience. When I paint, it is as though I am portraying my inner-most thoughts and meditation on a canvas. There is a lot of personal and emotional investment in everything that I do, so to win the award and to receive such an accolade and recognition would be huge. This is an interesting question and certainly one that my family and friends would love to answer! I am a mother first and foremost and I place my family at the centre of everything that I do. To my parents, I was destined to be a pharmacist, though I trained to be and qualified as a graphic designer. My career however took a backseat when I became a mother, although once my children had grown and as I began to paint more and more, I slowly began to exhibit at the insistence of a friend. I was truly touched at how positively people reacted to my work. My artwork has always been about conveying the messages of Unity, Peace and Love as the overarching ideals. I draw most strength, inspiration and drive from my unending desire to find commonalities in human beings and all that unites us. 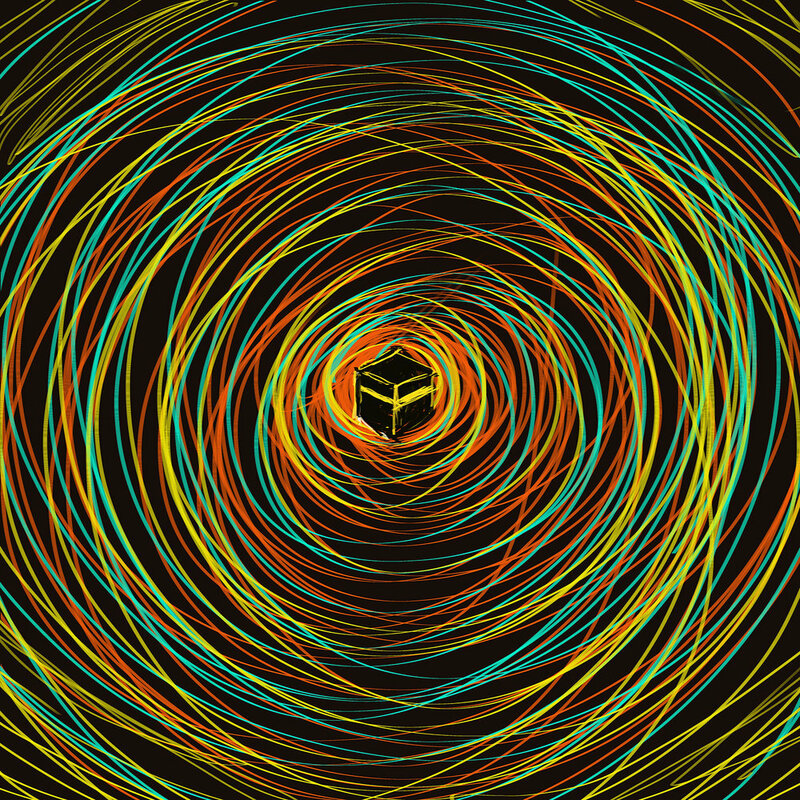 I am particularly inspired by the beauty of Islam and to that end, much of my art is influenced by my religion and my own personal relationship with God. I am a British Muslim artist and for me both identities are important. I hope that in my work you will find that Islamic-inspired art can be contemporary and speak to an audience that identify with current art trends and appeal to those who wish to have contemporary Islamic art in their homes. Can you tell us what your 'Before I Die' is? My ultimate wish and objective is to use my art to impact social engagement on a large scale. Whether it is a collaborative activity which bring communities together or one that engages inter-community discussion, I would love to create art installations and paintings that would spark interesting conversations. Winning an award like this would give me the necessary exposure and the platform that I need to be able to do this, as art is one of the few media through which you can bring people together and unite. I would love to have been the catalyst to get young people involved in art. I want to leave behind a legacy that has purpose on a community-level and not be known necessarily as a stand-alone artist who painted only for herself or simply for commercial gain. And if I could leave this earth with the knowledge that I played a part in this, then that would make me very happy. World’s First Ever Global Art Awards to Honour Outstanding Works of Artists from Across the Globe. DUBAI, United Arab Emirates, 7th March 2017 – Recognising excellence and innovation in art and design, the world’s first ever Global Art Awards will celebrate exceptional achievements of artists from across the globe. Featuring 18 Visual Arts categories, including Photography, Street Art, Illustration, and Painting, the awards is set to receive significant support from the UAE and global art authorities. Chosen from a list of all winners, the Global Art Awards will also honour one artist with the coveted title- ‘The Ultimate’ Best Global Artist of 2017, with this winner taking a cash prize fund. Amongst the judging panel for these prestigious accolades are art moguls, business leaders and industry experts; Eng. Mahmood Bin Karam Al Fars is the Commercial Director & Media Advisor to the Arab Fashion Council, Sales & Campaign Manager for Abu Dhabi Media and Jury Member of the U.A.E, as well as being a successful Film Producer. Commenting on the awards, he says “I believe it is important to recognise the efforts of outstanding artists and provide the Arts and Culture community a platform to celebrate outstanding creativity. Arts and heritage are an integral part of bringing people and cultures together. Joining him is Sophie Neuendorf (USA) - Artnet - Director, Gallery Network and Partnerships and Head of the Department of Econometrics at Artprice, Jean Minguet, an expert in the field of art market analyses. The eleven-month programme will culminate in an exquisite red carpet Gala event in Dubai on 17th November 2017, at the Armani Hotel, Burj Khalifa. Dubbed to be the ‘Oscars of the Visual Arts’, the high-profile evening will see the likes of internationally acclaimed artists, art critics, art dealers, art collectors, art fair directors, museum directors, TV & radio personalities, and business leaders in attendance. 2018 - 2019 © The Global Art Awards. All Rights Reserved.